The company has been manufacturing and marketing a wide variety of drying and finishing machinery under the name of Swell Soft for the home textile industry. Established in 1992 in Corlu, Tekirdag, Entema has mainly focused on the manufacturing of special machinery for drying and finishing of variety of textile products. 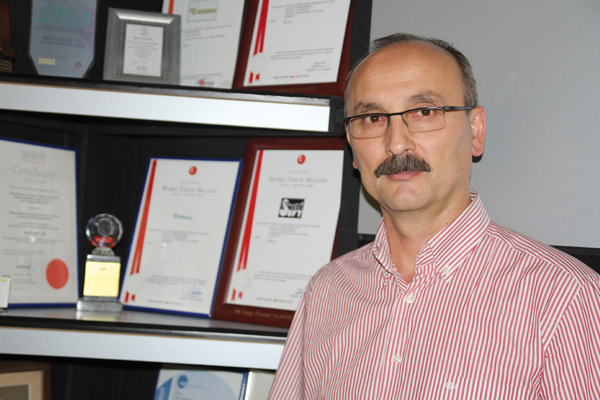 Omer GOKCAN, a partner of the company, has informed that ENTEMA machinery exported successfully to several countries in South and North Africa, Middle East, Central Asia, Asia Pacific and Far East regions. Machines that are sold under Swell Soft brand are developed and produced 100% domestically by using internationally protected patents and they can be used in the processing of several types of textile products such as towels, velvets, special, delicate textiles and other fabrics. The development and the production of the machinery is supported with R&D incentives provided by Tubitak, the scientific and technological research authority in Turkey. Swell Soft machinery can process a wide range of fabric categories, including the lighter tulle, knitted or woven fabrics, velvets, draperies, imitative leathers, blankets, carpets made of all kinds of natural or synthetic fibers. 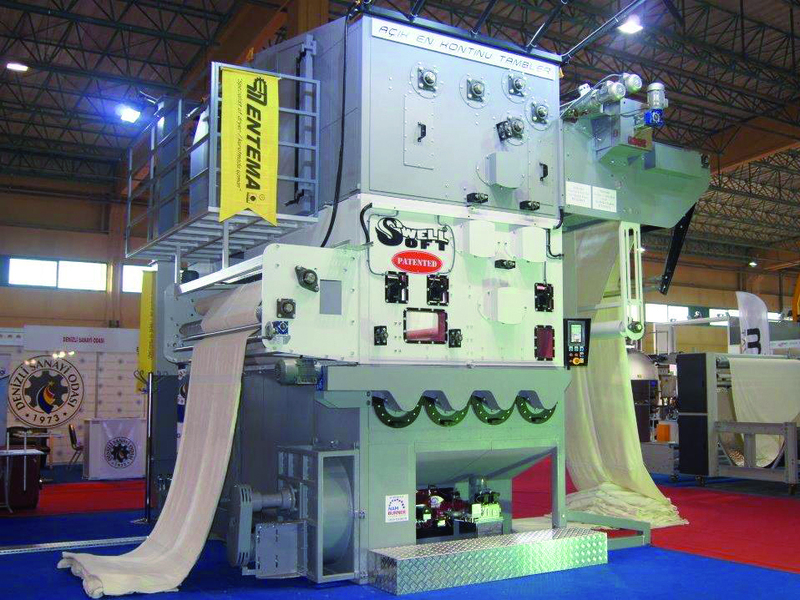 One of the early models of Swell Soft is the carpet finishing machinery that was installed in the factory of KARTAL Carpet, one of the major carpet manufacturer brands in Gaziantep in 2012 and it still serves flawlessly. Another one is sold to Erdenet Carpet company in Mongolia. Talks with companies in Belgium, Iran, Egypt, and China are continuing to sell machinery to buyers in the countries mentioned above. Seroni brand and was installed in their factories in 2016. One of the advantages of Swell Soft machinery over other similar brands is that it has a patented drum system that processes the material by linearly moving in completely open position. Besides, it can be operated after dyeing stage either from wet to dry, or from dry to dry in steamy chambers. Since there is no fabric-to-fabric friction during process breakage, abrasion, NONHOMOGEN shining and wastage are completely prevented. At the end of the process important increases are seen as softness, having body, free of dust and fibers, enlivening colors, ABRASION RESISTANCE, etc. Machines cover lesser space, uses lesser energy, has lower noise, easy to operate and are environmental friendly. Swell Soft machinery can be manufactured for the production of fabrics up to the 5 meters wide. The company continues its research and development studies incessantly, and a new version of the machine is being developed in cooperation with one of the leading textile companies in Turkey. This project is also been supported by the funds provided by Tubitak, the technologic research authority in Turkey.